We are all aware that spending extended periods of time inactive is unhealthy. However this is something we can not always help – especially when we are traveling or have other medical problems. Something that can be used to relieve some of the problems associated with sitting is compression socks. Once mainly used in the medical field, compression socks are not only useful for inactivity – they can also be great for exercise and recovery. There is a range of top compression socks available for different purposes. 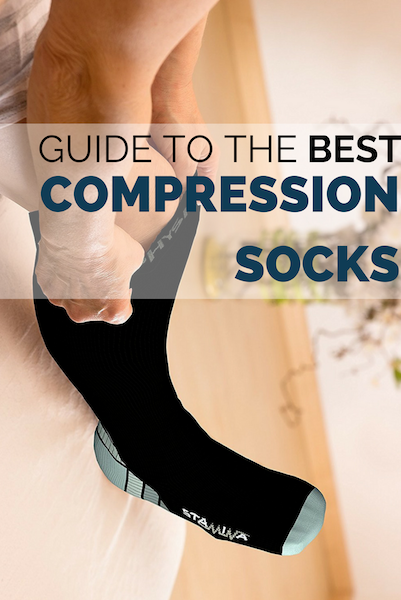 Some of these are better for certain conditions than others and the right compression sock for you will depend on the purpose you are using it for. Below you will find find reviews of best compression socks along with some information, such as compression socks benefits and advice on how to find the best one for you. 2 What are Compression Socks? All compression socks share similar features – they are a sock/stocking design that uses a fabric that is tighter than the usual sock so that it can provide some level of compression. Compression socks are used to improve circulation in the legs. One of the particular risks associated with flying is developing deep vein thrombosis (DVT). Compression socks can greatly reduce the risk of this occurring. Originally compression socks were made of spandex like materials which were uncomfortable and did not embrace the full benefit of compression socks. These days you can find compression socks in a variety of materials and spandex is usually present in addition to other materials. Wearing compression socks has several benefits which are discussed below. Reduces the risk of swelling – When spending extended periods of time inactive, compression socks can be used to reduce the risk of swelling in the legs by encouraging blood circulation when sitting. Improves current conditions – Compression socks are a great tool to aid in reducing existing swelling such as in pregnant women with swollen legs. They do this by supporting blood flow and improving blood circulation to reduce existing swelling. Provides warmth in cooler weather – Compression socks are great at preserving body heat in cooler climates. This is particularly good for runners. Can be worn as normal socks – There are plenty of the best rated compression socks that look no different from an average pair of socks making them suitable for wearing in public. The first step towards finding the right compression socks for you is to determine the size needed. Generally compression socks use similar sizes to average socks, however some will rate their sizes with labels from small to large and it can be difficult to know the size most suitable for you. Most people find it necessary to be conservative with sizes. Compression socks are tight and it can be a shock if you’ve never worn them before. Going one size larger can provide greater flexibility and make them more comfortable to use for longer periods. Also note the area you want to focus the compression on as size can play a role on this. Some sizes focus compression on the foot and ankle whilst others are looser around this area. People will purchase compression socks for a variety of reasons – some of these will involve medical conditions. It is recommended that you speak with a medical expert first before purchasing compression socks to ensure that the socks you do purchase will meet your needs. Medical grade compression socks will usually have higher levels of compression. Their compression can generally range from 15 mmHg up to 40, and for those that have not worn compression socks before this level can seem very tight. Most of us require a low level of compression. Around 20 mmHg of compression should be suitable for most people. For example, the best athletic compression socks will allow for a greater range of movement and require a lower level of compression than medical grade compression socks. Likewise, the best travel compression socks require less compression unless you are treating a medical condition. The purpose can also help you find a design. 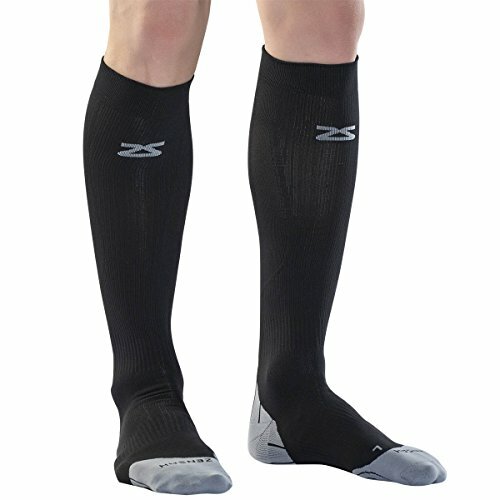 There are several compression socks available that really look no different from ordinary socks besides for the level of compression offered. These can be the best compression socks for runners and using whilst traveling. One of the main features of compression socks is their material. This is what makes them differ from regular socks. The most common materials that compression socks are made of include spandex, lycra, nylon and rubber. Usually socks are made of a combination of these materials to provide durable and breathable material. This also results in designs that can look quite different – you can find the best compression stockings and ones that really don’t look much different from average socks. As many people are also allergic to certain materials such as latex it is important to be aware of the material that is in the compression socks. So which compression socks are best? Use the reviews below to find the top rated compression socks best for you. 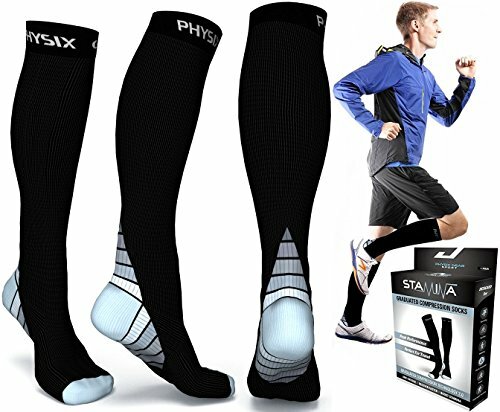 Physix Gear Sport compression socks is the first compression socks review and are the best compression socks for running. 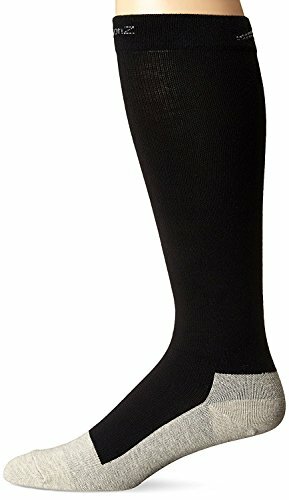 These socks are suitable for both men and women and are available in a solid black with stripes. The socks sit just below the knee and look more fashionable than other pairs. 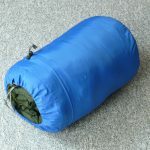 This makes them suitable for a range of purposes such as exercise and travel. The compression level is around 20-30 mmHg which means these socks provide a good level of compression while not being overly tight. The socks do not restrict toes like many compression socks but the lack of stitches means that they do not rub. Wearing them for longer periods of time is comfortable and exercising is not overly restrictive – these socks are designed for a wide range of uses. However they can fall down and may not be tight enough for very slim ankles. They are a great option for flying and regular use. If you need the best compression socks for travel, take a look at the Wanderlust Air Travel Compression Socks. These look like normal socks which makes them easy to wear, but their level of compression is higher than it may otherwise appear. They are comfortable to wear for longer periods as they are made with a blend of wool, nylon and lycra. With a closed toe and extra support around the foot and ankle, they have a compression level of around 25 to 30mmHG at the foot and moving up to 10 to 15 mmHg at the knee making them a particularly good option for those with foot problems. They don’t tend to bunch up and are easy to remove without feeling too tight. The socks are breathable and leave you feeling too hot which makes them great for longer duration’s, such as on a long haul flight. However they are not the best for long term use as they don’t hold up as well the top brands. They are also only available in black with a blue stripes. Still they are affordable and provide good compression. The CompressionZ compression socks are another brand that are stylish enough to be worn as normal socks making them ideal for use outside of the house and while traveling. They also have a range of designs to choose from and are probably the best compression socks for women. The closed toe design also makes them very comfortable and they tend to hold up after many washes. They do only reach mid calf which makes them less supportive than other compression socks. Again, they provide more compression at the foot which deceases as they travel up the leg. A few features I like are the anti-bacteria fabric and anti-odor, which is definitely an advantage when you’ll be wearing these for extended amounts of time (not to mention a positive for the people around you!). As with all compression socks they can be difficult to put on especially when you expect these to behave like normal socks. They are also slightly pricier, but they are one of the better looking socks. Zensah Tech+ Compression Socks are probably the ultimate pair of compression socks for working out. They provide great support, are comfortable, stylish and feel particularly good on the ankles. Their socks are slightly pricier but they are well regarded for their quality. They provide added compression in the ankle which deceases as it moves up the leg. The seamless toe prevents blisters. 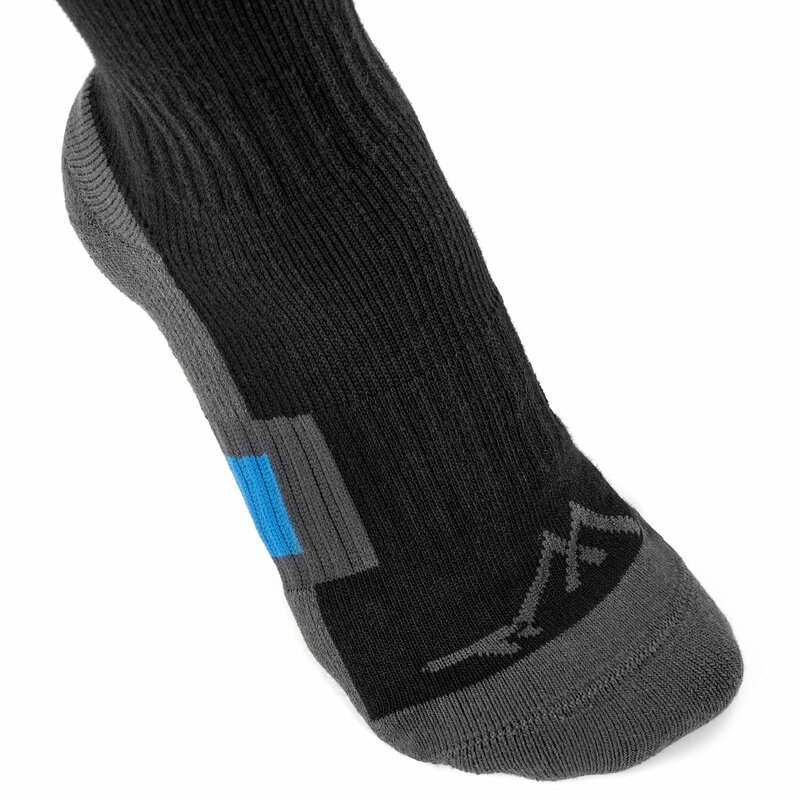 The mix of polyamide and elastane results in a lightweight and moisture wicking pair of compression socks. There are also several colors to choose from. Some reviews have noticed that the sizes run smaller and this is something to be mindful of. 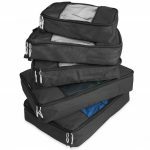 If you can get the size right, they are guaranteed to be a comfortable and secure option for long term use. Truform Closed Compression Stockings are a blend of nylon and spandex. These socks are different from some of the others above in that they could not really pass for normal socks, but this is what appeals for some people. They have a roomier toe than many other designs. The compression stockings material makes them more breathable and light weight than other stockings. The stockings in this range are perfect for added support, but Truform offer a range of stockings for different levels of compression so that you can choose from 15 mmHg right up to 40 mmHg. The material definitely makes the socks comfortable but I would suggest you be cautious with the sizes. Some reviews had ordered a large and stated that a small probably would have been more suitable. Overall they are good quality from one of the best brand of compression socks. 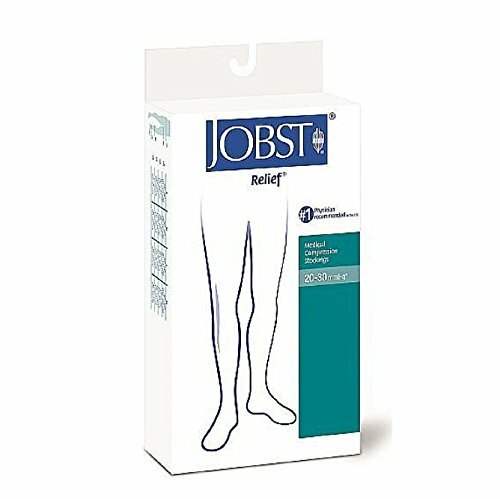 The JOBST medical compression stockings are a sheer design with a closed toe. They are made of spandex yarn and are suitable for both men and women. The advantages of these socks are that they provide a higher level of compression as they are medical grade socks, making them some of the best compression stockings for varicose veins. They are both strong and good quality. These are one of the longer lasting socks that you can buy, but they will not be suitable for everyone. Due to the medical grade quality they are very tight and harder to put on. You can choose to order both open and closed toe socks, and although they are very tight they do not tend to sag, which is definitely an advantage. Jobst compression socks are certainly popular and these particular socks are some of the best running compression socks you can find. They offer a lower range of compression which makes them perfect for longer activities and for traveling and hikes. The socks are long and provide around 15-20 mmHg of compression. This is a lower level than many and makes them less of a medical grade product and more suitable for general support. The socks provide a few layers of comfort and do a good job at managing moisture, which is great for when you’re not simply spending time being inactive. The colors offered are neutral and they have the appearance of normal socks making them among the best mens compression socks. These are a great option for daily use as they provide a lower level for compression with in a breathable material. 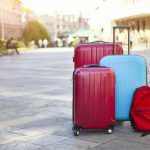 You can also read our guides to best travel pants, the best luggage and many other useful travel products here. What is your pick for the best compression socks? I’ll have to get a pair of these before my next flight … great review post! Great review! Thank You for sharing this. I am awaiting surgery and my Dr. told me to look into compression socks before I go. 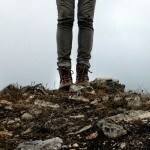 I have found out some amazing things between this post and another one I found from TopCompressionSocks … Keep up the good work! Sadly I have been disappointed in the Jobst Relief line recently. The thigh highs (20-30 mmHg) fell apart along the seam between the silicon dotted band and the remainder of the garment after two weeks of wearing every other day. And this pair was a replacement pair that Jobst sent to me directly after receiving a manufacturer’s defect item first! Hoping that it was just a bad lot since I like that they come in petite sizing. Also, for anyone facing more serious compression needs (I understand this article was based on using for travel) you can never go wrong with Mediven. Surely the priciest out there but hands down the highest quality as many of their items use polyamide, a very strong, resilient yet stretchy material although it can pill. Anyway, very useful information, thanks!